This form http://form.jotform.com/form/20062521995 which was previously working - and I have not edited, is now not working. Is appearing with the heading only and no other form fields. Are you able to help with this or do I need to re-build it all? As far as I can see, the last edit date for your form is 2012-03-13. I am afraid that you will have to re-create the missing fields. 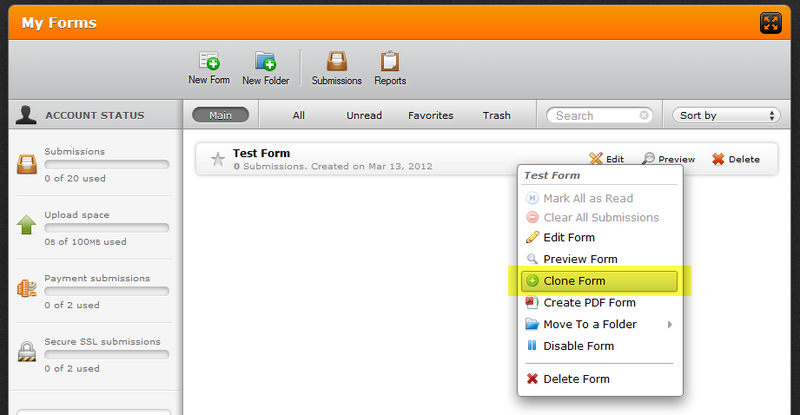 Please note that you can use our Clone feature to backup your form(s) from time to time.